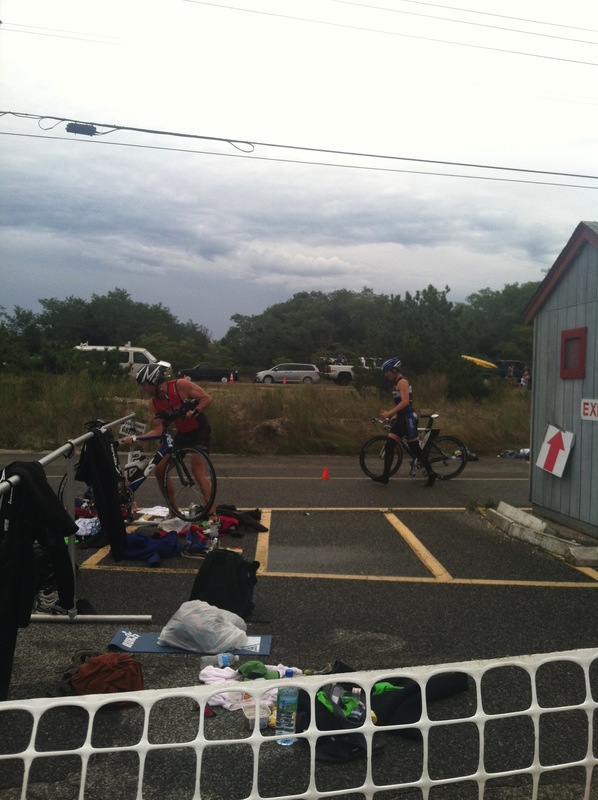 September 9th was my last triathlon of 2012. The Mighty Hampton’s was a race I had done last year almost fifty pounds heavier than I am now, and really enjoyed. This was a race which was in no way considered an A race this year, but I did want to see how I have improved over the past year in the sport of triathlon. One thing that I did not do this year was work on my swimming. Swimming has always been something that has come easier to me, but I certainly could have improved my swimming with a little more work on it. My main focus this year was my run but I did do some work on my bike leg as well. The swim was uneventful. Your typical water start triathlon swim leg. The course ran approximately .45 miles parallel to the shore in one direction, turned around and came back to where we started the remaining .45 miles. There was not a whole lot of jostling or contact in the water which is always a good thing. However, my goggles fogged early into the swim and seriously limited my visibility (sucked!). I again had trouble seeing the sighting buoys, but was able to sight off of other racers. 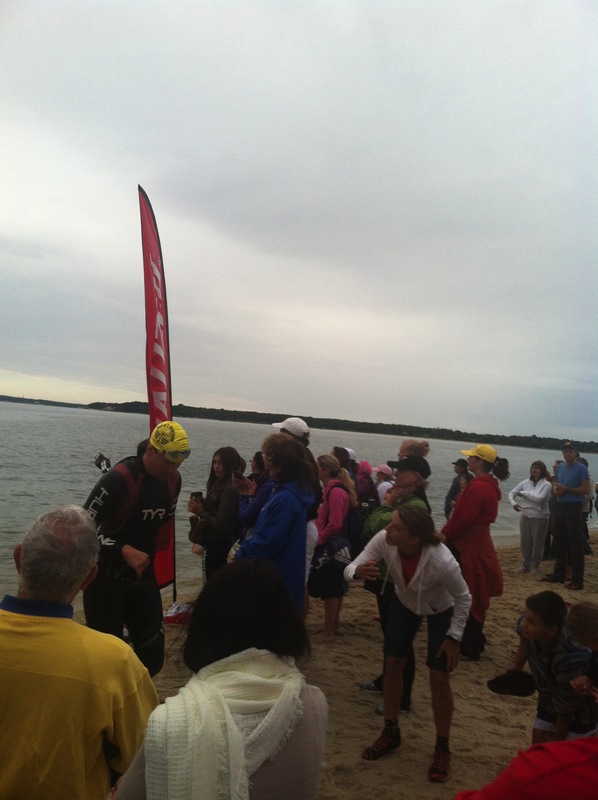 The water was a little choppy which made the swim a little tougher in my opinion. The bike leg of a triathlon is always my favorite leg. I have really come to love the bike leg of a triathlon. The bike leg is always a ton of fun for me, and I really enjoy spending time on two wheels taking in miles and miles of scenery. Its also become a place where I can really begin to hammer and start picking up ground. It is the one place where I can always pass some people and start picking up some spots. I really love my new ride, and already can’t wait to get out and race on it in 2013. I dismounted my bike and quickly headed into transition. I reracked my bike and threw my running shoes on and was on my way to knock off the last 6.2 miles of this olympic distance race. My run has been where I made my biggest improvement over the last year. In the shorter distance triathlons, I am finally beginning to feel as if I can push the pace on the run. It still needs some work, but I am starting to feel happy with where my run is. The run here was relatively uneventful as well. 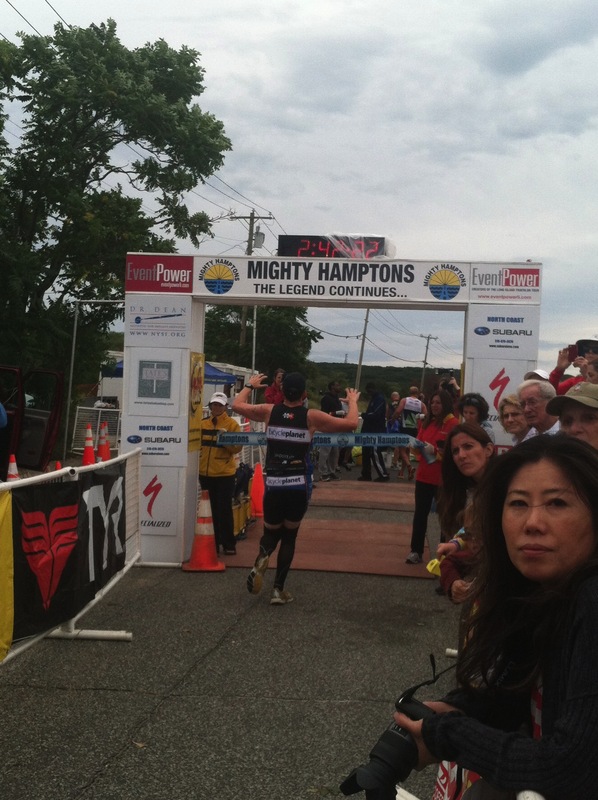 I felt that overall the Mighty Hamptons was a typical race with nothing too exciting happening aside from some swimming biking and running. In all I PR’d this race by over 20 minutes. In 2011 min finishing time was 3:04:05, so I had a pick up of just over 21 minutes. My Swim time was almost identical with just an 8 second increase this year but I picked up over 6 minutes on the bike and a few seconds shy of 15 minutes on the run. I am not sure yet if this race will be on my calendar in 2013, but when I do get back out here for this race, we’ll see how I have progressed again!